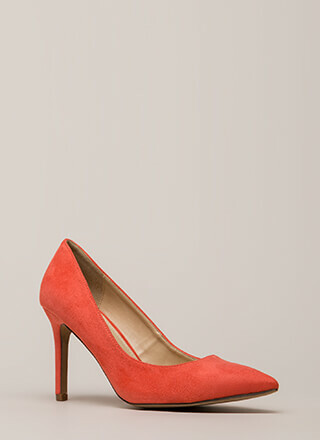 We could give you our appraisal of these heels, but it's pretty obvious just by looking at them how valuable they are! 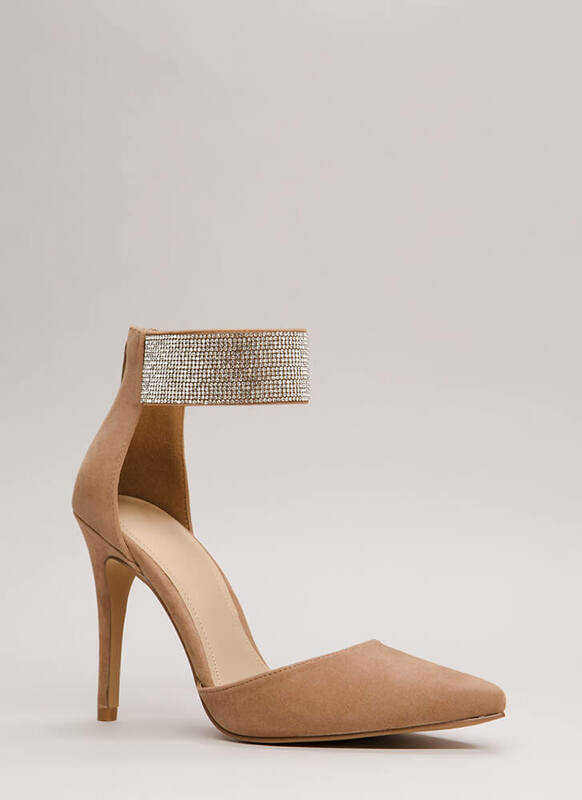 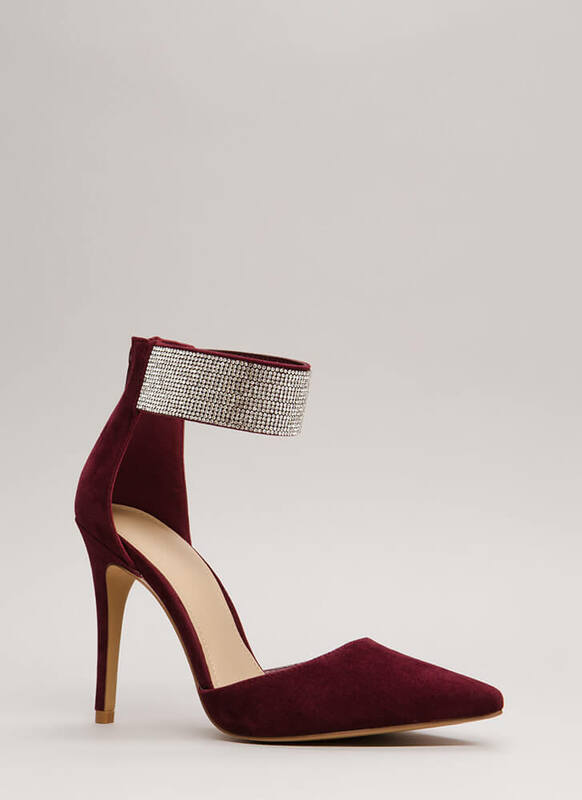 Pointy, jeweled, vegan suede heels feature a d'Orsay-inspired design that includes a scooped toebox, exposed sides, and an extra wide ankle cuff covered in rhinestones. 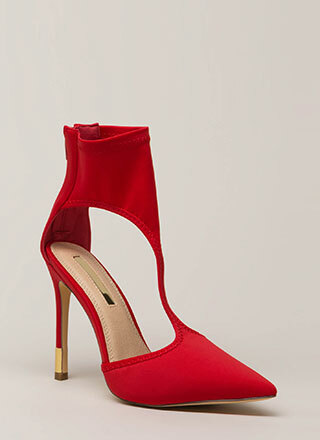 Shoes are finished with a stiletto heel, a ridged sole, and a rear zipper for easy on and off.